From childhood neighbours to adult sweethearts, Ian and Ann had been married for 26 years. Having spent the last 19 years living between rural Scotland and sunny Spain, they had decided that it was time to pick up their UK base and move it closer to their 4 children and grandchildren in Tyne and Wear. But they just couldn’t decide where to look. Whilst Ann wanted their forever home to be a place in the countryside with lots of space, Ian longed to return the coast as he had fond childhood memories of growing up there. With a budget of £175,000 their requirements included a minimum of 2 bedrooms, outside space and a garage. In this battle, it was a 1950’s property in the coastal town of Seaburn that stole their hearts. On the market for £175,000 this property was just right for them, with 3-bedrooms, a large reception room, a good-sized garden and a garage. 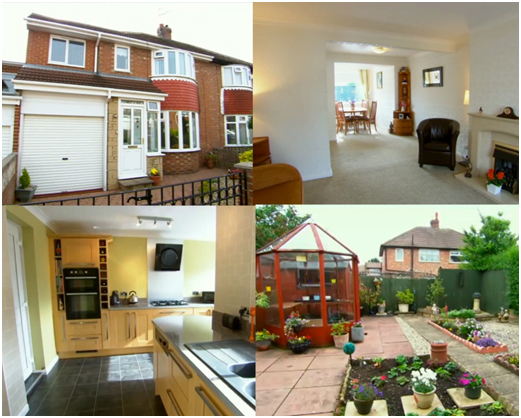 Ian and Ann put forward an offer of £172,000 for this property and it was accepted.